One of the films that will no doubt leave an impression at this year’s SXSW Film Festival is Jason Lei Howden’s Deathgasm, a heavy metal shocker fueled by demons, punk rockers and plenty of carnage. On the heels of the announcement that Deathgasm would be joining the Midnighters lineup at SXSW next month is the film’s first teaser trailer, and boy is it a good one. 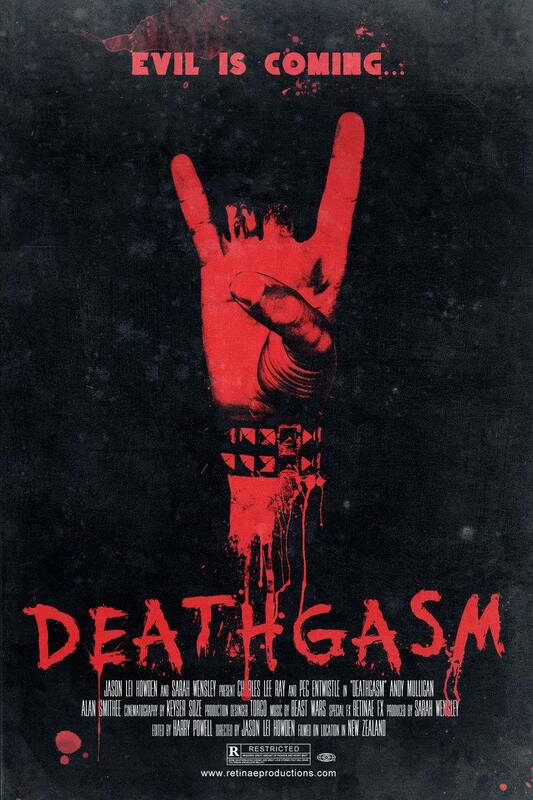 As the next big festival is just around the corner, indie gems just like this one will be popping up all over the place with Deathgasm kicking things off in brilliant fashion. The trailer is about as NSFW as one can get, so prepare yourselves, sit back and watch the insanity ensue. Deathgasm stars Milo Cawthorne, James Blake, Kimberley Crossman, and Stephen Ure. It has its World Premiere next month at SXSW. Lol, exactly! It’s nice to see the film itself matches the ridiculousness of the title. Should be a fun one. Every second of this trailer makes me want to see it even more! I know, right!? Metal and demons go so well together.